A team of researchers at the University of Glasgow has developed a mass spectrometry technique to identify forged manuscripts. In their paper published in the journal Scientific Reports, the group describes their technique and how well it worked when testing known forged Robert Burns manuscripts. 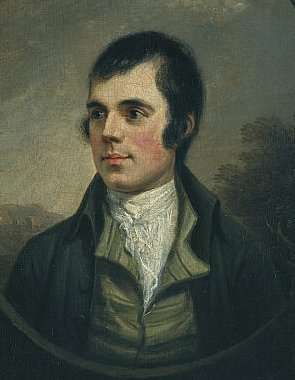 Robert Burns was an influential Scottish poet and is best known outside his home country for a poem he wrote that was turned into the song "Auld Ang Syne"—which is traditionally sung on New Year's Eve around the world. Burns lived from 1759 to 1796, and wrote poems, songs and other works on paper held in binders, which subsequently became manuscripts. He also used a variety of inks which were also typical of the time. Burns eventually became so well known that his original manuscripts became valuable—so valuable that others attempted to cash in on his success by forging manuscripts, which they attempted to sell as originals. One forger, Alexander Smith, was particularly good at it, and reached a degree of notoriety himself when he was finally exposed and sent to prison. In this new effort, the researchers have used the work of both men to test a forgery detecting technique they developed based on both mass spectrometry and a deep learning network—a technique that does not damage the material being tested. The technique involves spraying a very small amount of a methanol and water solvent (2 µL) onto a section of the manuscript where ink is present. Next, the solvent and ink sample are pulled from the manuscript. After that, a microfluidic system is used to spray just nanoliters of the sample into a mass spectrometer. The data from the mass spectrometer is then fed into a deep learning network—one that has been trained to identify components in ink that were used during the time when Burns was writing his manuscripts. The system then gives a report on what it found. The researchers tested their system by applying it to three works known to be authentic and nine that were done by Smith. They report that the system found 16 differences between them which were described as significant—an indication that the ones by Smith were forgeries. A deep learning network trained on a total of 12 samples (3 authentic and 9 known forgeries). Sorry, this sounds like someone desperately wanted a "deep learning" paper on their CV.